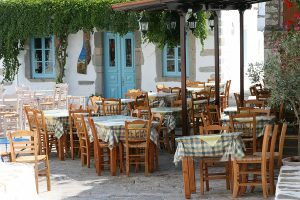 One of the northern most islands in the Greek Dodecanese Island Chain, Patmos has played an important part in history for centuries, and is a very compelling island to visit on a crewed yacht charter. 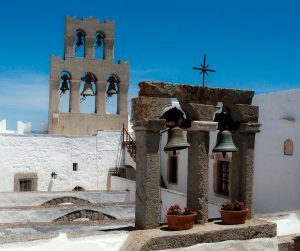 Patmos is a beautiful island with lovely beaches and coastlines, however if interested in the history of Christian Religion, visiting the island of Patmos on a crewed yacht charter can be both time spent on a lovely Greek Dodecanese Island and time spent exploring an island featured in Christian Biblical history. The island of Patmos is claimed to have been the home of John the Apostle while writing the “Book of Revelations”. The Monastery of Saint John the Theologian and the Cave of the Apocalypse have now been named as a UNESCO World Heritage Sites. In 1983 the island was proclaimed a Holy Island by the Greek Government. 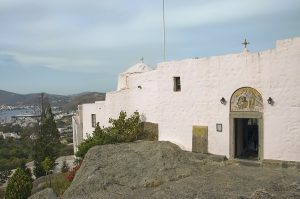 Patmos has remained an island of pilgrimage for those of various religious beliefs. Skala is the main harbor and main town on the island, and the best location if arriving by sea to visit this island. It is hard to pass up a visit to the Monastery of Saint John the Theologian and the Cave of the Apocalypse, no matter what your religious beliefs might be, as an important part of world history. 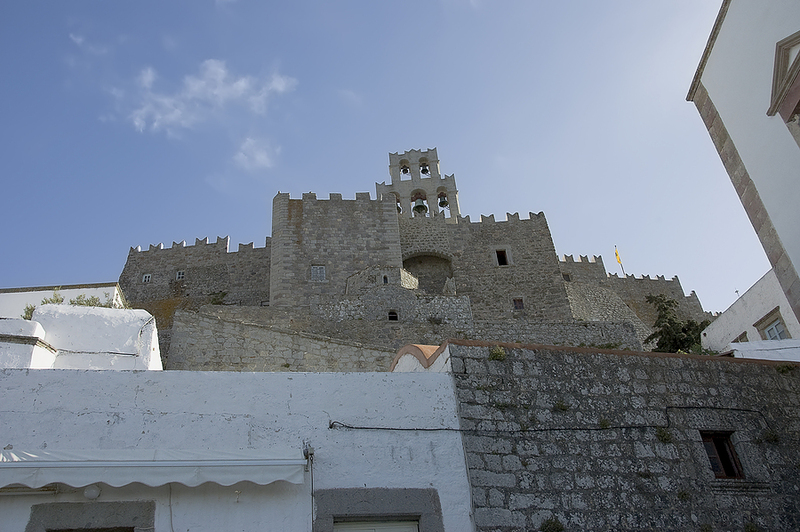 Perched on the very top of the island, the Monastery of Saint John the Theologian can be seen from any vantage point on the island. Originally built with fortress walls to protect the monks from marauding pirates, the monastery looks much like a castle complete with battlements with an opening from whence to pour boiling oil down on invaders. The Cave of the Apocalypse, where John the Apostle is said to have written the Book of Revelations, is now surrounded by the Monastery of the Revelations, with the sacred grotto on a lower level. A Monk is stationed inside the monastery to guide visitors to see this sacred grotto. 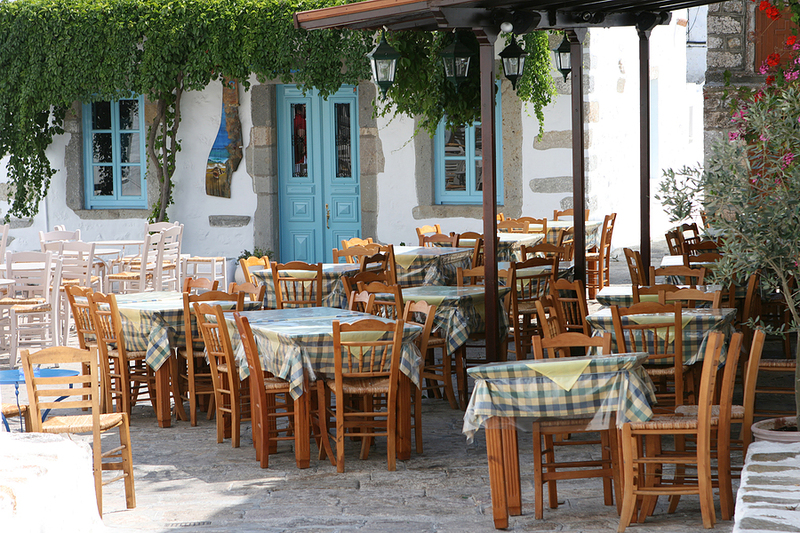 The town of Skala is spread around the main harbor and offers boutique shopping opportunities. Surrounding the island are beautiful beaches and little bays offering secluded anchorages for quiet private on board time to include a refreshing swim during your visit to Patmos on a crewed yacht charter.